One of my 18 for 2018 goals this year is to send out Christmas cards. Every year I have the best intentions of sending out cards, but every year I feel too indecisive and procrastinate until it’s too late. 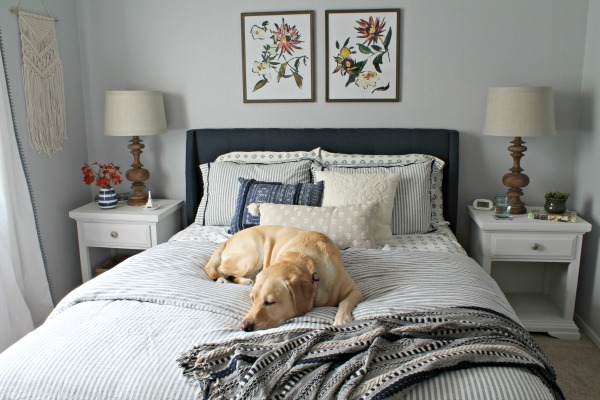 There are just so many different designs to pick from, plus we don’t get family pictures taken every year so I always felt like my random pictures will never look as good as the perfectly staged photos in the examples. 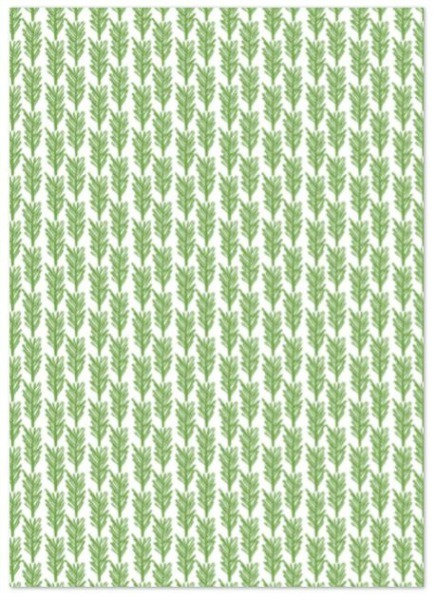 But this year with the help of Minted (and your votes below), I’m going for it and finally crossing this project off my list! Disclaimer: I received product and/or compensation in exchange for this post. All thoughts and opinions are my own. 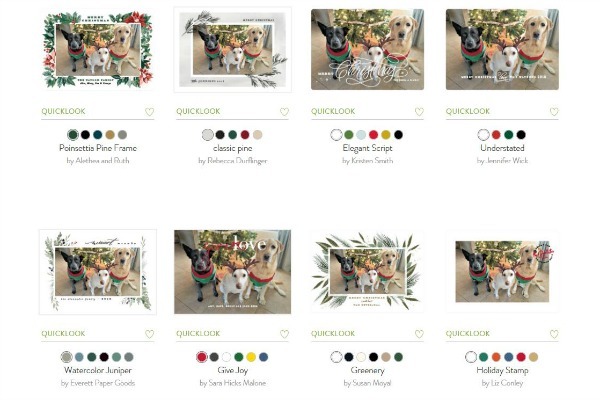 Minted has so many beautiful holiday card designs that it’s hard to pick just one! So, I decided to make two different cards and you all can vote for your favorite at the bottom of the post. The 2 designs are very different so I’m excited to see what you all think. Of course my first task was narrowing it down to just 2 designs! 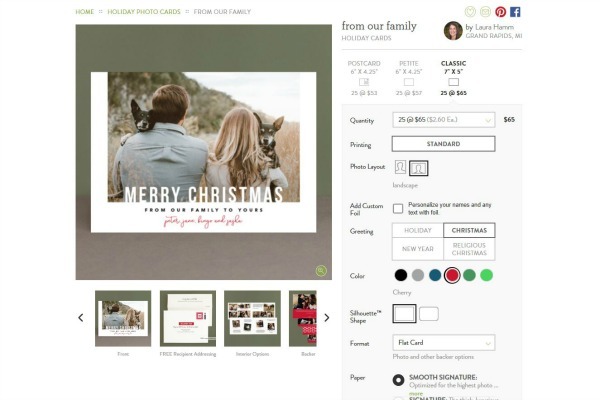 Minted has a great feature that allows you to upload a photo and quickly see how it looks in all of the card designs. This saved me so much time and effort jumping back and forth between designs to see if they worked with my picture or not. You can see that the lettering on some of the designs covers up those cute doggie faces, so those were easy to rule out. I ended up selecting the two designs based on how the layouts looked with my picture(s) and the fonts. Minted has another great feature that allows you to toggle between greetings (Holiday, Christmas, New Year, or Religious Christmas) and change some of the colors. 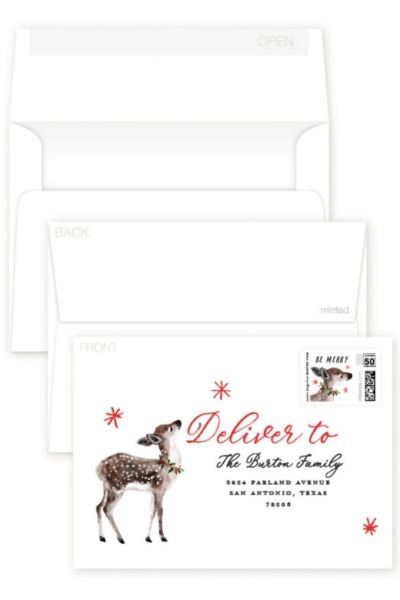 I went with the Christmas greeting and the red color palette for both of my designs. Option #1 is the From Our Family design by Laura Hamm. 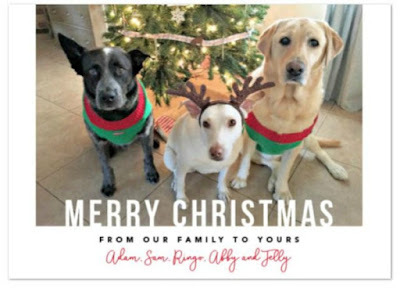 I love this picture from last Christmas of the dogs in their Christmas sweaters and reindeer antlers, so I decided to feature it on one of my card designs. I also wanted to include pictures of Adam and me, so I used one of the collage layouts for that back. I used one of the notes fields to list where each picture was taken. 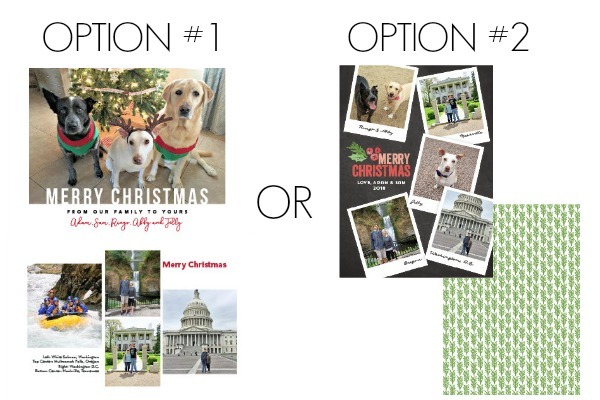 Option #2 is the Family Snapshots design by Griffinbell Paper Co. 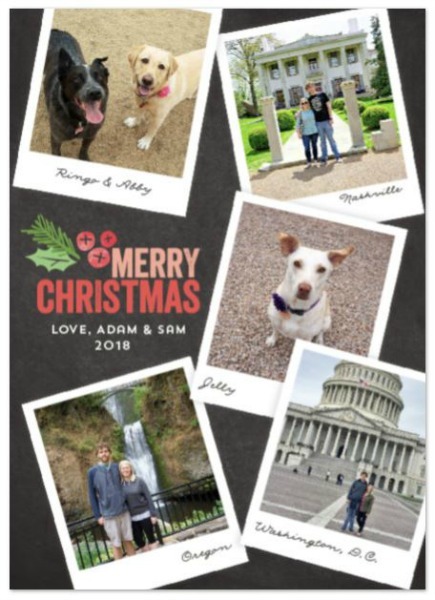 I love that this design allows me to share my favorite pictures from the year and add comments right on the front of the card. 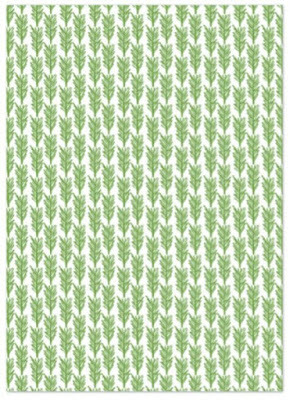 For the back, I picked this white and green pattern. Please vote for your favorite in the poll below! I’m so curious to see what everyone likes. If you’re reading this by email or in a reader, you might have to open the post to vote (click here). 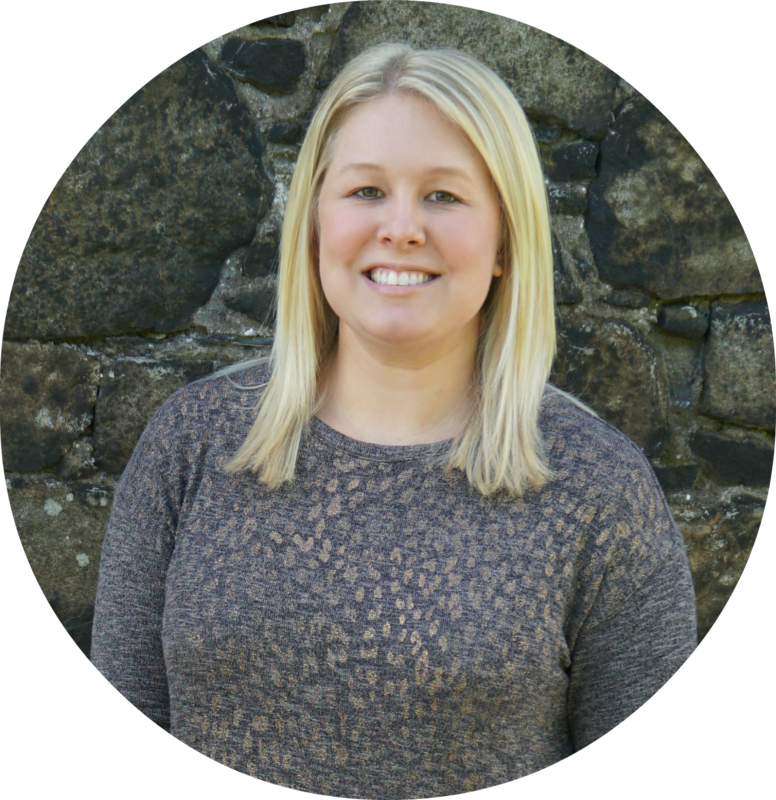 Regardless what design I end up using, I’m very excited about Minted’s free recipient addressing! I love all of the designs and I love that I won’t have to write them all by hand. I remember helping my mom write out everyone’s address on our Christmas cards growing up. It took forever! Sure, it’ll take me some time loading all of the addresses into the site, but then I’ll be set for next year too! 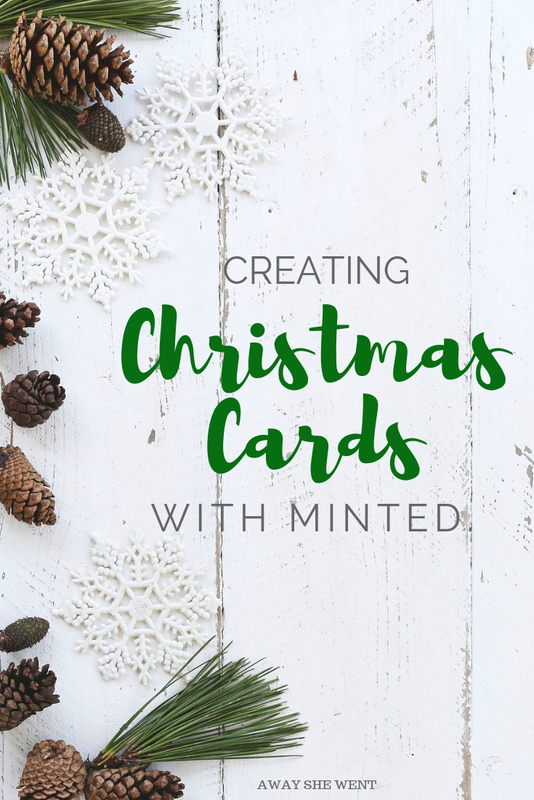 If you’re sending out cards this year, but still haven’t designed them, I highly recommend checking out Minted. They source all of their designs from independent artists and curate their collection through competitions. Plus they are offering discounts on cards right now! I had no idea Minted existed. 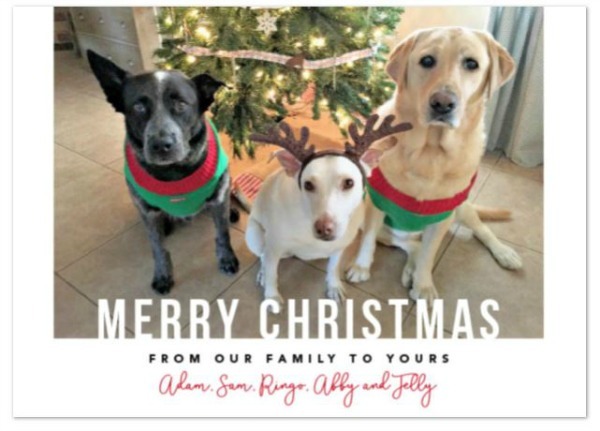 I have not been happy with Shutterfly this year so I my give this a try! Check them out! I haven't received my cards yet, so I can't comment on the quality (I've heard good things), but I've been really impressed with the functionality of their site. They have a lot of beautiful designs! I'm sure you'll find one you love! I really SHOULD stop being lazy and send Christmas cards, but the thought of how much I'd spend in postage kills me! Ugh! I always forget about the cost of postage! 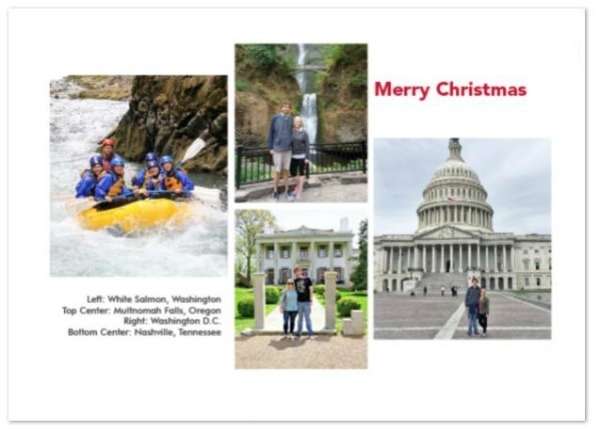 One of my friends told me that she sends 400+ cards out every year! The cards and postage must cost a small fortune!